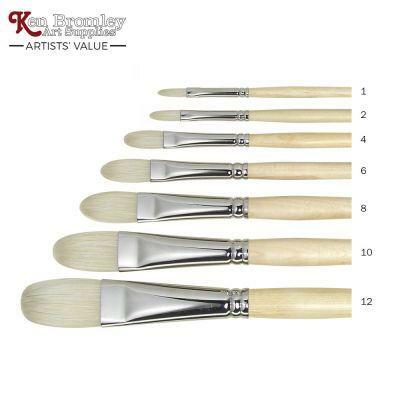 The value range of brushes are made for Ken Bromley Art Supplies by one of the UK's leading brush manufacturers. 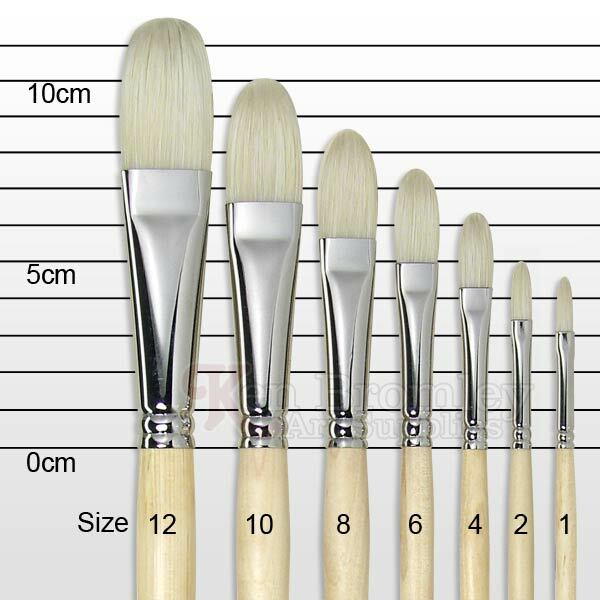 These brushes are suitable for oil painting but also fit for purpose for artists who wish to use acrylic paint in a traditional oil style. The grade of Hog hair is a high grade Chunking Bristle giving good spring, shape and control. The clear satin lacquered handles exude a natural look and comfortable feel. 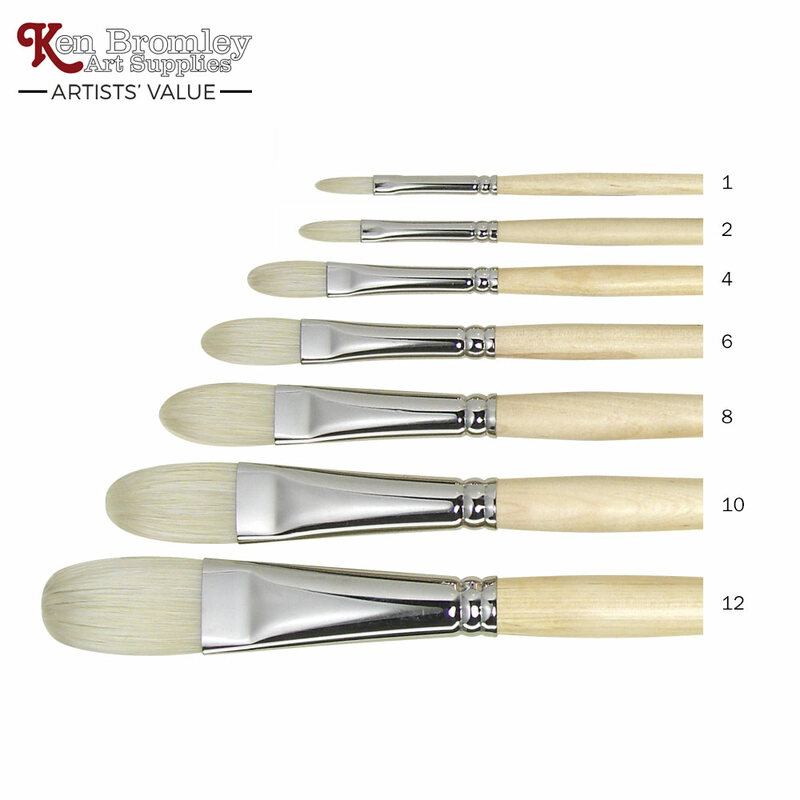 Ken Bromley's replies: Hi, I am sorry you are having problems with your brush, it should not be shedding hairs. I will contact you regarding a replacement.